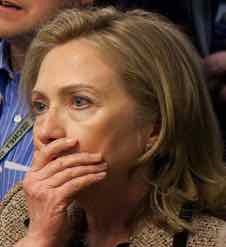 Hillary Clinton VIncent Foster "suicide"
disbelief at the thought of Foster committing suicide"
According to an FBI interview of James Rutherford, Hillary Clinton "was in complete shock and disbelief at the thought of Foster committing suicide." "Of a thousand people who might commit suicide, I would never pick Vince." Hillary Clinton, quoted in The New Yorker, The Suicide, by Sidney Blumenthal, August 9, 1993. Hillary Clinton urgently called her chief of staff Maggie Williams three times the day of Foster's death and told her, "call Vince, tell him to call me," according to the chronology from Hickman Ewing, the deputy Independent Counsel. The report of the FBI interview of Tom Castleton contradicted Hillary's testimony of when she last saw Vincent Foster. 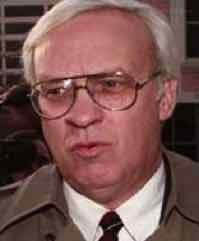 Hillary's initial doubts were abandoned as she agreed with Kenneth Starr, "...Starr had finally conceded that Vince Foster really had committed suicide." Living History by Hillary Clinton. Chris Ruddy cast suspicion by falsely accusing the Clintons of keeping the FBI out of the Foster death investigation. An FBI document and a handwritten note from the Office of Independent Counsel refer to Foster and the Swiss bank account as mentioned above by James Norman. Foster cancelled a flight to Switzerland, with seats for two other people, just before his death, according to an Office of Independent Counsel document. 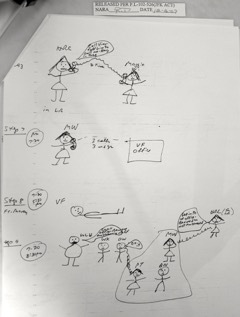 An Office of Independent Counsel note lists the name of Robert Maxwell along with the initials WLH, VF, HRC, (Webster Lee Hubbell, Vince Foster, Hillary Clinton) and the word "Systematics." Deborah L. Gorham testified to the Senate Special Committee that Vince Foster had National Security Agency documents. NewsMax, the conservative news media organization founded by Chris Ruddy, donated $1 million to the Clinton Foundation. Ruddy rose to fame writng about "Clinton scandals" and casting suspicion on Foster's "suicide." The morning after Vince Foster died President Clinton spoke to the White House staff. "In the first place no one can now why this happened. Even if you had a whole set of objective reasons, that wouldn't be why it happened because you could get a different, bigger more burdensome set of reasons that are on someone else in this room. So what happened was mystery about something inside of him... and I hope when we remember him and this we'll be a little more anxious to talk to each other and a little less anxious to talk outside our family." 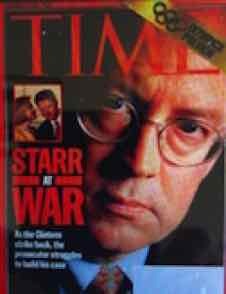 Did Hillary Clinton read the official Report with the evidence of the cover-up by Starr? 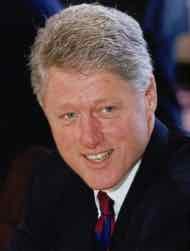 Ken Starr, "the enemy of the Clintons," covered-up Foster's murder. Why is Hillary silent about Starr's cover-up? 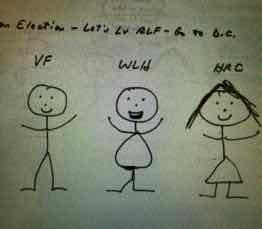 Vince Foster, Webb Hubbell, and Hillary Clinton as drawn by Ken Starr's Office of Independent Counsel. Click to view cartoon. "no one can know why this happened"
Deputy Independent Counsel Hickman Ewing drew a chronology showing Hillary tried 3 times to contact Foster the day he died. 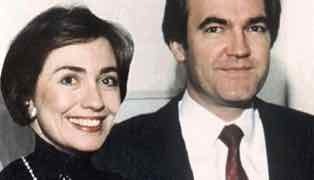 How much do you know about Hillary and Vince?